This is a post I’ve been wanting to write for a while, but I had to find time (and enough films) to actually settle down and write an article worthy of this subject. If you’ve seen movies like Scream or Cabin in the Woods, you realize they are not just really good scary movies, but they’re also great commentary on the horror genre itself. Scream was basically saying that, rather than restricting the creativity of film directors, the conventions of horror films, especially slashers, gave them considerable freedom to work with and explore new areas of fear, as well as being a sort of examination of slashers themselves. Cabin in the Woods gave you the impression that horror filmmakers were somewhat like slaves in the entertainment industry, having to abide by certain rules in order to please audiences or be ruined (occasionally that’s true). These horror films below have their own lessons to teach on the genre, and I’ll try my best to convey them here (and possibly convince you, dear reader, to go and see them for yourself). Whether it’s on unique ways to tell a story, reinventing a familiar story, or even just finding a way to insert some philosophical musings into your movie, these movies all have something to share on the genre. The slashers that come after the classics of the eighties and the early nineties come in three categories: really bad sequels, movies that try to copy the classics and fail disastrously, and the ones that go above and beyond, often finding ways to redefine the slasher genre while they do it. 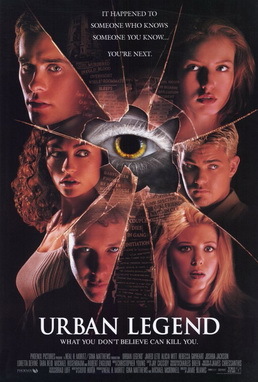 Urban Legend is definitely part of the third category, and it shows how the slasher genre can change itself despite some critics’ claims of “same story, different killer/kids/location/motive”. In this case, a killer begins attacking students and faculty at a remote college campus, but kills them in ways that mirror popular urban legends. Who is the killer, why are they killing like this, and what does all this have to do with one young student and her connection with the original victim? The answers will not only shock you, but it’ll make you appreciate adaptable slashers and those urban legends you all heard as kids and teens in new ways. You know how in most horror films the audience knows there’s a supernatural explanation for why freaky stuff is happening and the characters in the film are looking for a rational explanation? In this movie, it’s different: you suspect there’s a supernatural explanation, but at the same time you look for ways it could be rationally explained. 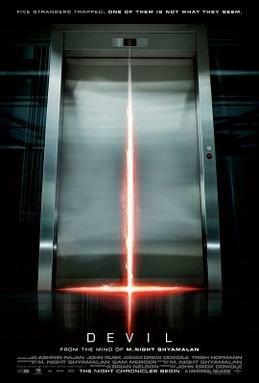 In this film based off an M. Night Shyamalan story, five people get stuck in an elevator and are murdered under mysterious circumstances while trapped inside. Who is the killer? Why are they killing? Is it a bizarre murder plot? A psychopath at work? Or maybe, as one security guard believes, it’s a mystical meeting between the damned and the Devil himself. A terrifying film, just watching how the filmmakers portray the unfolding events and make us wonder exactly what is happening is enough to give you some ideas on how to switch up your own stories. Or give you nightmares. That’s always a possibility. Known as Kairo in Japan, this supernatural horror film is as deeply philosophical as it is terrifying. In this movie, spirits manage to find a way into our world through the Internet, and start killing the living, though why they kill the living isn’t always clear. The movie follows several different people, particularly a young woman who is among the first to notice what is happening, and a college student who finds himself delving into the mysterious ghosts with a computer science co-ed he knows. The film besides being scary, offers great insight into our strange, modern world, which can be full of connections and isolating all at once, and why ghosts would want to return to this world in the first place. There’s an American remake of this film, but it loses some of its philosophical/psychological bite in favor of special effects and some more Western horror conventions. It’s not bad, but it’s not as good as the original. Anyway, check out both if you can. They’re both interesting takes on our Internet-obsessed society, if you ask me. Our last entry is not even true horror, but horror-comedy and mockumentary. 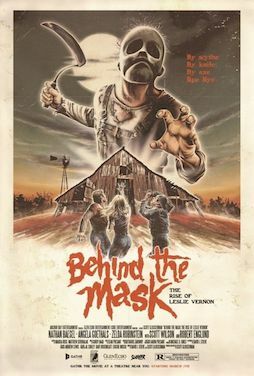 Behind the Mask follows a group of students filming a documentary in a world where famous killers like Jason Voorhees, Freddy Kreuger, and Michael Myers are as real as you or I. The subject of their documentary is a man named Leslie Vernon, a would-be killer who is in training to become a famous killer himself and is preparing for his own night of carnage. The film switches between documentary-style footage and the more traditional horror-movie footage, breaking down the conventions of the slasher genre as well as their philosophical and Freudian psychological meanings (particularly the role of the “survival girl” motif in these films). Not only is it a great story that examines, pokes fun of, and psychoanalyzes the slasher sub-genre, it also depicts a very doomed romance that is stll rather beautiful and lovely in a weird way. Whether or not you like horror, this is definitely not a film to be missed, because what you can learn from it is great. Have you seen any of these films? What were your thoughts on them? What are some great horror films you think can teach people about the genre itself? What is great about them?